Dale and I always thought early in our married life we would have two children. In 1988, we built a new home and while it was under construction, we visited the site daily. It was fun to take our tiny daughter, Zoe, through framed shell. We’d point out her room and then show her the baby’s room. With God in control, life bends, takes peculiar turns, and then leads you to the places He ordains. A baby never came and after several years the dream of one was surrendered. You choose to trust God. He knows best. 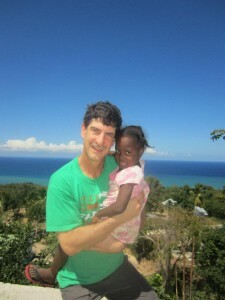 In June 2010, Dale and I took our first mission trip to Haiti. 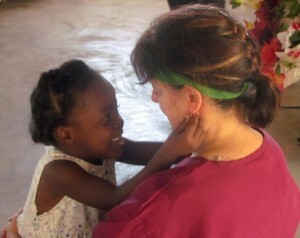 We were on the first team to minister to 70 orphans who were rescued from the slums of Port Au Prince. A radical crazy-kind-of-love consumed us. We encountered God’s definition of pure and faultless religion and to this day, it keeps bringing us back to Haiti. Compelled, wrecked, however you choose to describe it, we qualify. One day, before our mission trip in December of 2011, Erica Ho asked to meet with me. I thought it was to review the trip plans, but God used that meeting to upend our life. I left Erica’s office with the real possibility of adopting a five-year-old little girl from Jeremie. It’s extraordinary to comprehend the deep desires God resurrects and restores from the hearts of those He loves. Even the ones so deep you don’t even have the courage to hear your own voice utter them. But that’s exactly what He does. December 2012 was filled with enormous breakthroughs in the adoption process. When God moves mountains all you can do is stand in awe and watch. Our court appearance and the move to a transition orphanage significantly closed the gap in time between her life there and her new home here. You see, Dale and I always thought we would have two children. How has God returned to you a desire of your heart? Tell us about it!